This is a simple yet most powerful Ganesh mantra for getting success on the career front. This Ganesh Mantra like all other Vedic Mantras is a satvik mantra and hence you should be sincere about your intentions. The procedure is very similar to most mantra, where you submit yourself to the Almighty God for His blessings. 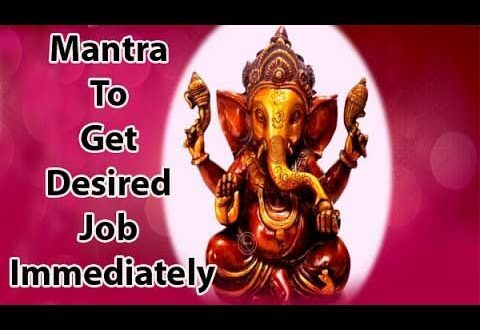 This Ganesh Mantra for Job and career success will remove all hurdles that are coming in your path to achieve greater heights in your career. You will be able to get better and high paying job all with the blessings of Lord Ganesh. Watch this short video for getting job success. do i have to do 90 days in temple only or only the starting day? coconut and gur should be offered daily or only first day ? after getting job if i have to fly immediately then how can i continue 90 days in temple?